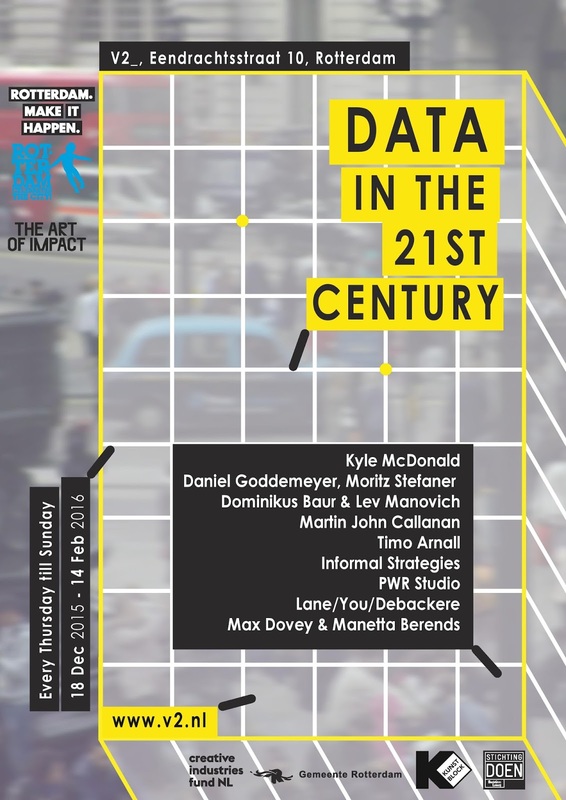 Data in the 21st Century explores the friction between the unpredictable reality that we live in and the desire to capture it in data. Artists: Daniel Goddemeyer, Moritz Stefaner, Dominikus Baur, Lev Manovich. Other contributors: members of Software Studies Initiative (Mehrdad Yazdani, Jay Chow), Brynn Shepherd and Leah Meisterlin, and PhD students at The Graduate Center, City University of New York (Agustin Indaco, Michelle Morales, Emanuel Moss, Alise Tifentale). The project uses software tools developed by Software Studies Initiative with the support from The Andrew W. Mellon Foundation and National Endowment for Humanities (NEH).